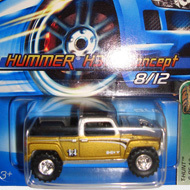 9/12 from the 2006 Treasure Hunt series. 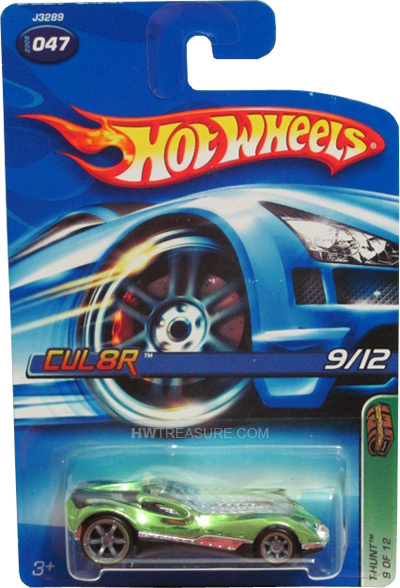 The Spectraflame green CUL8R is detailed with black and silver graphics. 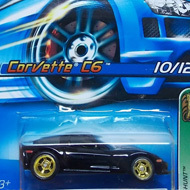 It has clear windows, chrome interior, gray Co-Molded 6-Spoke wheels with green rims, and a black Malaysia base.